My little town may not have many perks, but this corner table at the local Starbucks is my current favorite retreat. Therefore it should come as a surprise to no one that I'm ringing in the new year here. (Actually, I'll perch here until they close at 10pm, but you know what I mean.) Many of you will be out with friends and family, dressed in your sparkly best, ready to countdown to midnight. Happiest of New Years to you and to yours! But that simply isn't my season or my state of mind right now. Instead, here I am, ice water and PowerSheets in hand, alone at Starbucks, taking a break to breathe, blog, and believe in 2016. And that is exactly what my heart needs. 2015 was good. Wonderful even. It brought with it so many great memories and so many blessings from the Lord, but in other ways it was really, really hard. And I can't get ready to go into the new year without getting real with myself about the hard places I've trudged through. The weary places of my heart don't need another bandaid, they need a Holy Spirit led healing. Because 2016 is scary, and a bandaid won't fix that. But while acknowledging those hard and hurting places is important, acknowledging the BIG ways God showed up this year should take top priority. I serve a God worth praising and whose blessings are worth noting, and yesterday I was reminded of a prayer He answered with all kinds of flair and fireworks in 2015, going abundantly beyond anything I could have asked or imagined! At the beginning of last year, I asked the Lord for a tribe. A tribe of people I could rally with and carry on alongside, ones who would encourage me and who I could encourage in return. I was lonely and overwhelmed in grad school, feeling small and unseen, though bubbling with expectations for the new year. I asked, He answered. He answered in SO many ways. In the spring, He brought me a wonderful cast of These Shining Lives, the play I had the JOY of being in at OSU. 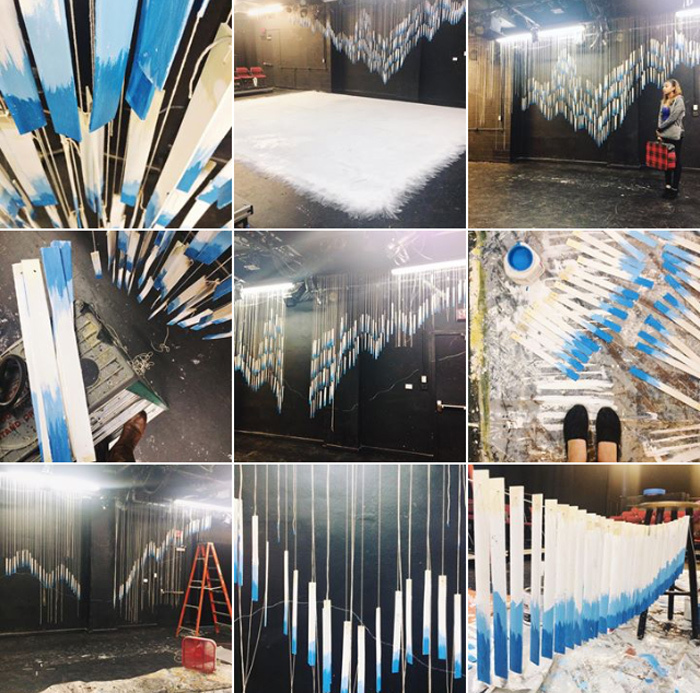 As much as I loved it, as much as I grew as an actor and a person, our little band of actors and the rehearsal high could not supply what I needed. I was playing the lead, but I was still insecure. I was confident in what I could bring to the table, but I still felt the need to do more, to BE more, and no compliment from a director or audience member could really fill that place. Playing Catherine, living her story where the women she worked with rallied with her through illness and hard-fought legal battles that changed history, reminded me that community is powerful, and we were made to live in a community with a mind on a picture bigger than ourselves. Oh, how I craved that! Two weeks after my show closed, I had the privilege of attending the Hope Spoken conference in Dallas. I only knew a handful of gals going in, and somehow got put into a different small group than most of my roommates, but it was like those women were handpicked to encourage my socks off that weekend! 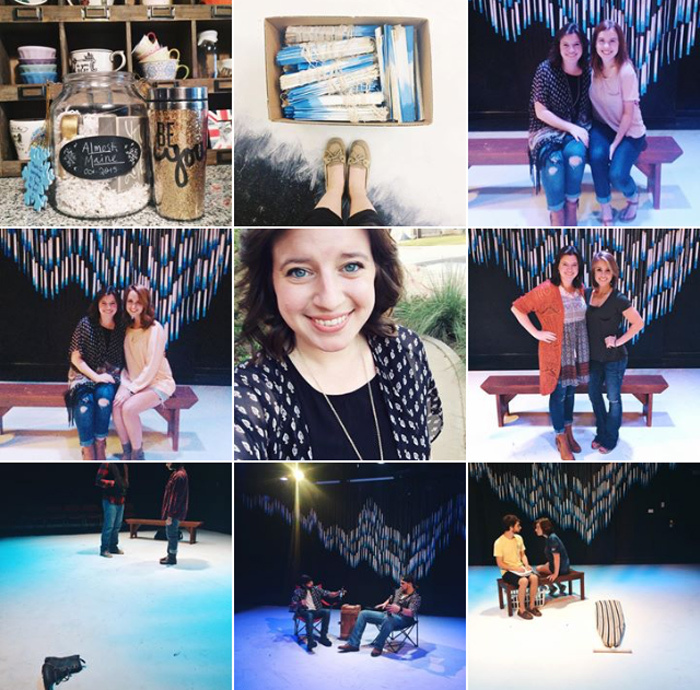 I met Rachel Cox and Rachel Walker in real life for the first time, was surrounded by a group of artists and tender-hearted ladies passionate about seeking the Lord, and my weary heart was refreshed in surprising ways! Also, I won a ticket to next year's conference so... who's going?! Following soon after, I was blessed with a group of fellow bloggers and believers who wanted to run forward after the Kingdom of God while using our online influences for good, and OOF was that a healing balm to my soul! Daily texts, Google hangouts, encouragement Mondays, and so many more sweet moments blessed the end of the school year and carried into my summer. These girls are still part of my life and I could not be more thankful. In September I was able to attend The Influence Conference in Indianapolis. What a gift! SO many sweet online friends gathering in real life for the first time, and then SO much powerful, Gospel-centered truth spoken over us all weekend long. After a long summer and a tough transition back to school, God knew exactly how to breathe life into my weary bones with these women! THEN, as if the Lord hadn't done enough, I found Delight Ministries at OSU. Y'ALL. I can't imagine 2015 without these women! In the middle of the year, this delightful gaggle of God-lovin' gals welcomed me in and rocked my world. I had been so discouraged that my theatre schedule with rehearsal every night of the week kept me from attending a church small group, then BAM, a Saturday morning gathering appeared. And there is something SO POWERFUL about women getting real before God, daring to ask deep questions, and letting vulnerability run free. 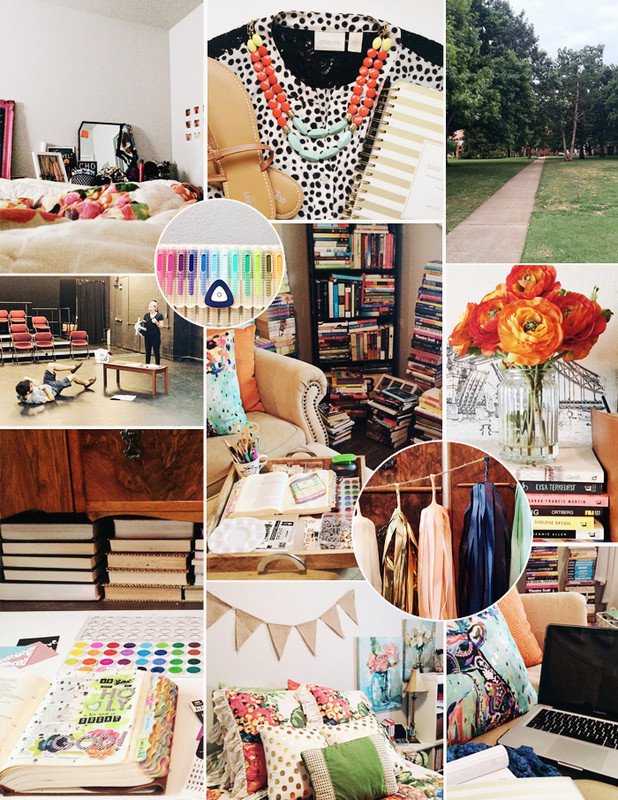 Surrounded by bright smiles, twinkling lights, and comfy couches, breakthroughs happened in and out of that room, all because a brave group of women said YES to starting Delight at OSU. I am BEYOND thankful that they did so! These ladies are my tribe (I don't even want to think about leaving them in May) and I can't wait to see what the next semester brings for us! Earlier today, I sat at another coffee shop with my dear friend Carissa, catching up on life and reflecting on the new year, admitting how worried I was about the unknowns to come. She then started asking really great questions that just won't leave me. Why do we always stress about the next thing? We're so worried then it happens and we go, oh. Look at what God did. That wasn't as bad as expected. It was good even! Then we go right to stressing about the next thing, why? Her answer: because we forget. And sadly it's oh so true. I don't want to be one who forgets. Are you with me? Let's not forget the good things God has done! So in all our planning and prep for the New Year, let's take some time to commit to reflecting on how he has already been faithful. He has been faithful before and He will be again. Now that all the ice in my water has melted, and the coffee shop is slowly emptying out, I'll say goodnight. Goodnight, Happy New Year, and God Bless 2016! Christmastime is here! And goodness gracious did it sweep in like a whirlwind! Anyone else feel that way?! I'm working retail over the holidays, so that has only amplified the crazy, and highlighted the need to take intentional time to rest and reflect during this season as well. I love me some Anthropologie, and I am incredibly blessed to get to come home for the holidays, but I am missing my quiet evenings at home alone. Making the most of your footloose & fancy free festivities! DO savor the spontaneity! Girl, go for it! That is one thing I've heard most mourned when someone is no longer single, the ability to be spontaneous and let plans change with the wind. Savor the chance to call up a gal pal for coffee or make a last quick trip to the mall. Enjoy the flexibility you have! DO get together with your single gal pals (or make it a mixed group even)! More than likely the other singles you know that are in town are feeling similarly, so... use that spontaneity and get the gang together. Or plan an event for the group that will make everyone's single season a bit more merry. DON'T sulk at the kids table. I know, I know, it can be a bummer to sit at the card table with the tweens with everyone else in the dining room, but make the most of it. Ask them about school, their hobbies, and really be intentional with them. What you learn (about them AND you) might just surprise you! DO offer to watch the kids for a married couple or a single parent you know. Yes, it can be tough to feel resigned to the kids table or to watch the perfectly matching families wandering the lights festival together, but think about the added stress the new mamas you know might be feeling. If you can, call up that friend, cousin, or co-worker and offer to watch the kids so they can have a date night or to get some last minute errands done kid-free. It will make their week! Do extend extra grace to, well, everyone. To the cashier at the grocery store or clothing boutique, to the relative that just wants to talk politics, to your family if you're living at home for a few days/weeks, and to yourself in the midst of all of this. Everyone is adjusting and doing their best, and a little extra grace goes a long way. DON'T be a holiday texter. Now, let me clarify. Absolutely wish everyone in your contacts "Merry Christmas!" if you want to! Spread that cheer, girl! But check your heart when it comes to the kind of holiday texting that is, in my opinion, the equally as dangerous cousin of drunk texting. That guy that checks in every December 24th/25th then checks out around the 1st? Guard your heart and notice when you swoon for the attention that will disappear at the stroke of midnight. It might feel good, but it's fleeting. And if you're tempted to be the instigator, DON'T. It's not healthy for either of your hearts to let those thoughts linger when you know full well nothing will come of it. DO spend New Year's Eve however you'd like. If you want to go out, go out. If you don't, don't. If you're like me, the thought of partying it up on New Year's Eve, even with great friends, is a little overwhelming. I'd much rather watch the ball drop on TV, curled up with a good book, hot chocolate, and a cozy blanket at home, thank you very much. Also, to be completely honest, the whole midnight-kiss bit has been a little hard for my heart in years past. Now, I have handled it gracefully before, I am proud to say, but sometimes the comparison quicksand is at the ready and I step into it far too easily. DO remember what this season is all about! Yes, it would be nice to meet someone under the mistletoe, but if we spend these days wishing for something else, we'll miss the ultimate gift we have already been given. No matter how perfectly wrapped it might come, an earthly relationship will never fully satisfy. 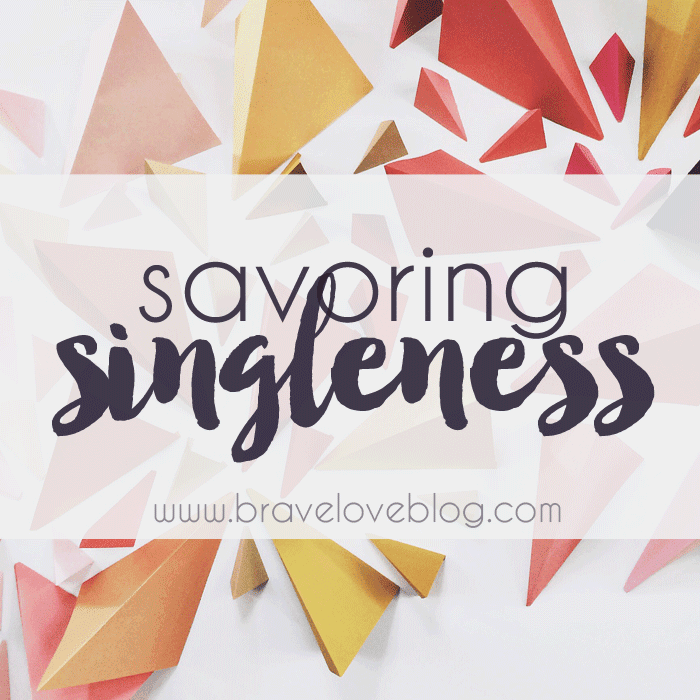 When your heart hurts or the holidays get tough (even when you are feeling perfectly secure in your singleness!) turn your focus back to Jesus. He's what we're celebrating anyway! Now, to the married gals wanting to help: I know it can be tough to speak into the tender places of a friend's single season, especially when you're on the other side of the ring, but I promise there is a way to do it with grace! Here are a couple of do's that have helped my heart and would be welcomed in any season! DO invite your single friend out to coffee or lunch. Quality time one-on-one may have slipped away once you got married or made the move (which is natural as your sphere narrows as it should! ), but be intentional with her and show her that she is remembered, known, and time with her is valued, even if it is for a quick cup of joe. DO include her in group festivities when possible. Now, don't third, fifth, or seventh-wheel her, but again, extending her the invitation (then at the event making time to spend time with her without your significant other attached at your hip) can make a huge difference. Well there you have it, friends :) Did any of these ring a bell or hit a soft spot? And OOF, do I need to take my own advice and dive into some of these. As we seek to savor our seasons together, we've got to be honest about the places where we lack and get real about where we struggle. The holidays are prime time for pangs of jealousy to do a number on my heart and steal the joy of Christmas. Don't let that be the case for you this year! 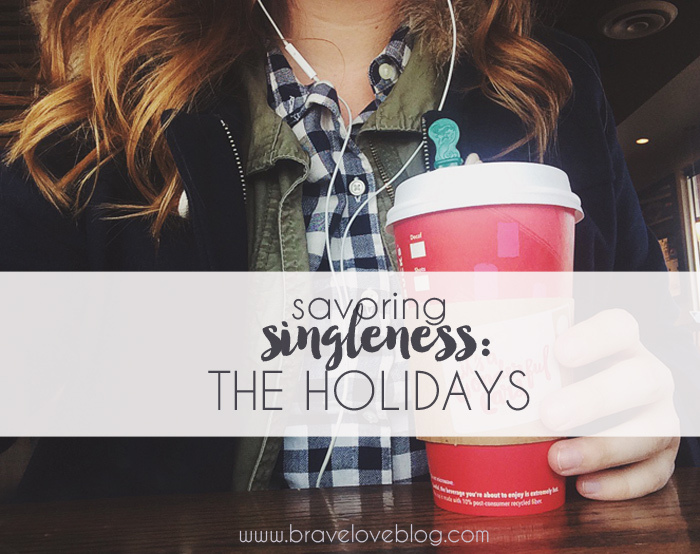 How do YOU savor singleness during the holidays? Married ladies, any recommendations for us single gals? Once upon a time, I had time to read. I loved reading. I was in a committed relationship with reading. I dreamt, ate, and breathed reading. Then one day BAM, grad school happened and that time went out the window. Or at least so I thought. After starting and finishing a book in one day over the weekend (granted, classes have now ended for the semester) I realized that the time had not been taken away from me, but I had stopped making the time. I filled it instead with endless Instagram scrolling and Bones or Criminal Minds bingeing, neither of which are healthy for my head or heart. The Brave Love Book Club! Anyone else in that boat? Anyone else want a WAY OUT?! Well, I have a solution for you! The Brave Love Book Club will select a new book each month, with a wide range including old favorites, new releases, Christian living, fiction, and non-fiction, too, and I cannot wait to dive into the first one! 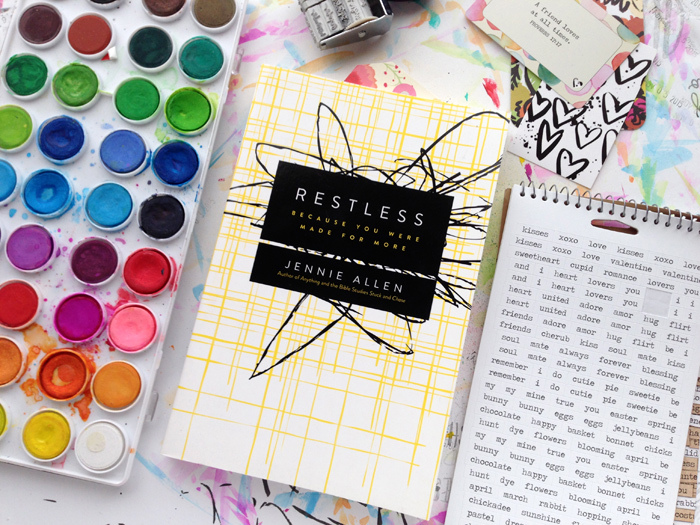 I announced yesterday on Periscope that in January we would be reading through Restless by Jennie Allen. I've had this one on my bookshelf for over a year, and I thought it would be a great choice for us to launch into for the start of 2016. None of this is mandatory, but any part of it you can join in would make the experience all the more enjoyable! I for one am excited to spend more time in a book with friends rather than blazing through and forgetting about it a week later. 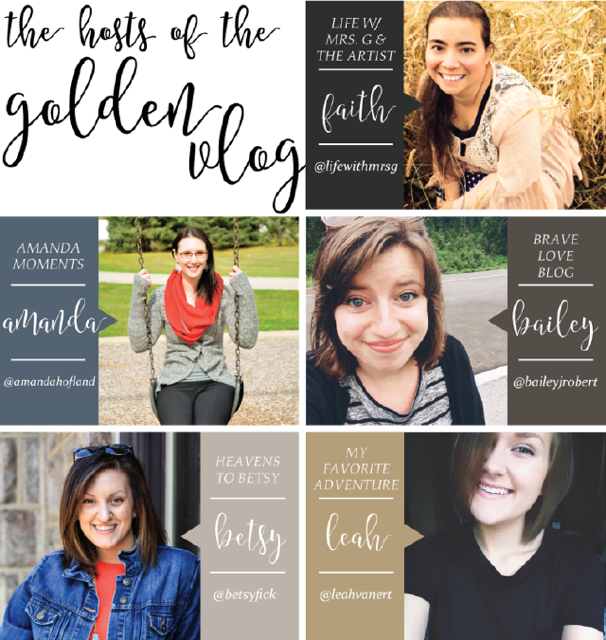 I am reading through several books with other gals for discipleship, as well as joining in Amber and Rachel's Collaboreads Link-Up, and I think the Brave Love Book Club will be a fun addition. Is anyone else excited?! I will be compiling a list of books for future months of the Brave Love Book Club, and I would love your recommendations! Leave them in a comment below and I will take them into consideration! Any and all genres are welcome! In the meantime, I'm off to finish the 6+ books I'm halfway through before the end of 2015, planning to keep Netflix off the agenda and dig in to some good ol' paperbacks. So are you in, friends? What would YOU recommend we read? Oh, December, how I love thee! There's something about this month that makes me feel refreshed and hopeful about what's to come, and I am determined to finish strong this year. While it's tempting to jump ahead to 2016, I don't want to skip over this final month though it's structure is all over the place. The good news: there are only two weeks (now one and a half!) left of the semester! 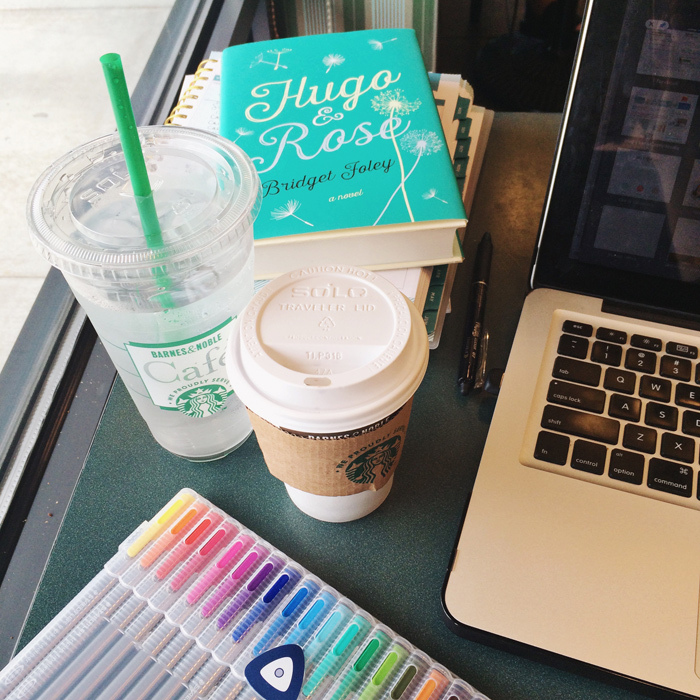 The bad news: there are only one and a half weeks left of the semester. Ahh! Papers, projects, performances, oh my! Y'all, send some prayers my way so I can get through these final two weeks. Now onto the goals! 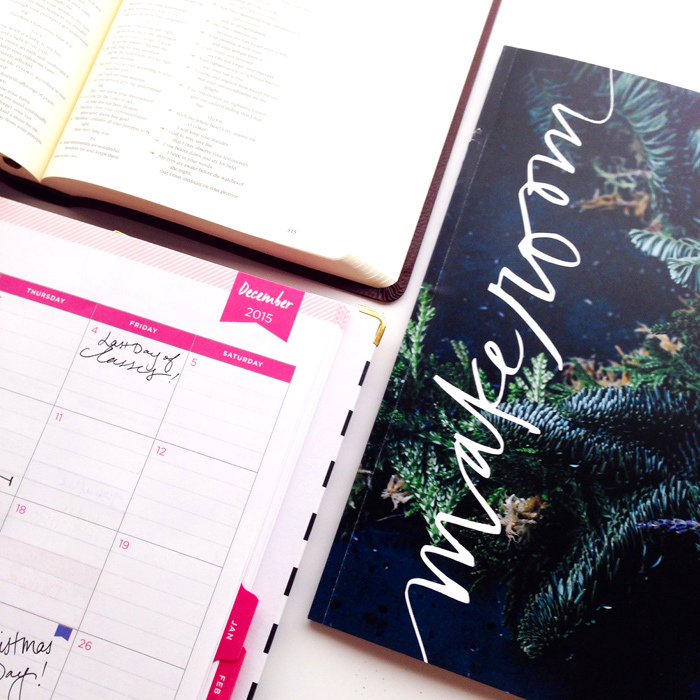 It took me a few days to settle in on what I wanted to make happen in December (and I have been soon tempted to jump into my 2016 PowerSheets Workbook, but I'm holding off for now!) I have two weeks at OSU then two weeks at home this month, so they're pretty split. First, let's take a look back at LAST month. 1. Cultivate contentment. A shopping FREEZE. Y'all. Why is this so hard?! It really is embarrassing how difficult this has been over the past few months. I need a major heart check (and someone to hide my wallet). 2. Study PRAYER. This did happen and I'm excited to keep going with it! 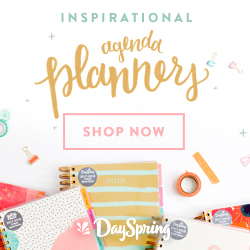 Some special things are coming on this topic in February, but I want to soak it in and really make a lifestyle out of it rather than a box to check on my list. 3. Begin 100 Days of Heart Healthy Habits! Well.. I started! So that's something. I need to come up with an actual game-plan moving forward. Any recommendations? For those of you who made a change like this, how did you get started? 4. Spend Thanksgiving/extra time with my family. Done and done! I went home the first weekend in November to shop with my Mom, and Thanksgiving was well spent at a family reunion with 40 people, followed by watching The Santa Clause and Mockingjay with my parents. I also watched the Baylor game which was more like a water polo match that we sadly lost, but I'm still proud to be a bear! 6. Contribute to the Illustrated Faith Creative Team. WOOHOO! My first two blog posts went up over the holiday weekend, Thank-Filled Heart and Courage + Kindness, and I'm already planning for next month and next YEAR! 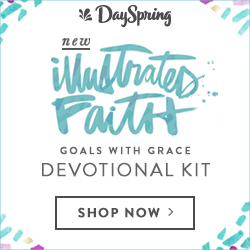 Illustrated Faith is teaming up with Dayspring Cards for some exciting things in 2016 which you won't want to miss. 7. #NOnetflixNOVEMBER. BAM. Done, done, done! And boy did it feel good! I got so many other things done, read several books, and felt better about my evenings. Now I did still catch up on my shows via Hulu but I didn't fall into a #showhole like I usually do. I'm keeping this in the goals for next month because I don't want to waste away my vacation watching Bones (though it is quite good!). 8. Prep my December Daily album. More on this to come later in the week, and today is day one! Ahh! I am working with several kits from Ali Edwards, including one from last year I got on sale, and I can't wait to keep track of my days. The prep has mostly been pulling everything out of its containers and organizing by kind for easy access. Stay tuned! 9. Simplify and organize. Man, what a wonder a clean closet and a clean kitchen can do for a girl! I organized both the week before Thanksgiving, and parts of the apartment do still need a bit of an overhaul before the Christmas break. Has anyone tried the Kon-Mari method? I'm intrigued and hope to implement it soon. Now that those are taken care of, let's look ahead at December. This month always feels a little frenzied, especially since it's split down the middle, but I'm determined to be productive. 1. Follow the Naptime Diaries Advent Study w/ Illustrated Faith. Ahhh, I have been so excited about this since I ordered the devo and Advent calendar way back when. Then I found out that Illustrated faith was partnering with it, I did a little happy dance! 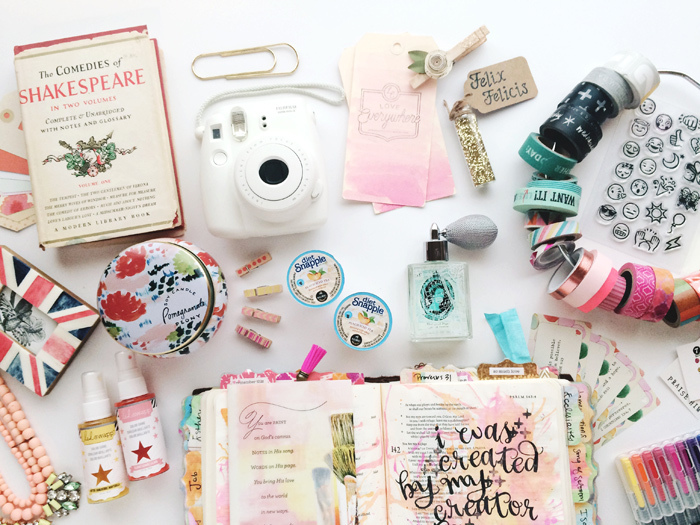 I have a fresh journaling Bible for Advent and some fun crafts planned to go along with it which I will show soon. 3. Complete a December Daily album. I'm starting my first one this weekend and I am PUMPED! I was worried about not having much to write about since everyone seems to have kids or spouses to capture, but y'all. Yesterday was a doozy so I no longer doubt that there will be stories to fill this thing. 4. Read read read (no Netflix, round 2). Taking a break from Netflix last month was so impactful on my productivity, and I don't want to waste away the break on it so we're doing it again! You can bet I'll be bringing a big stack of books home with me for the holidays (and I know a few are tucked under the tree, too!). 5. 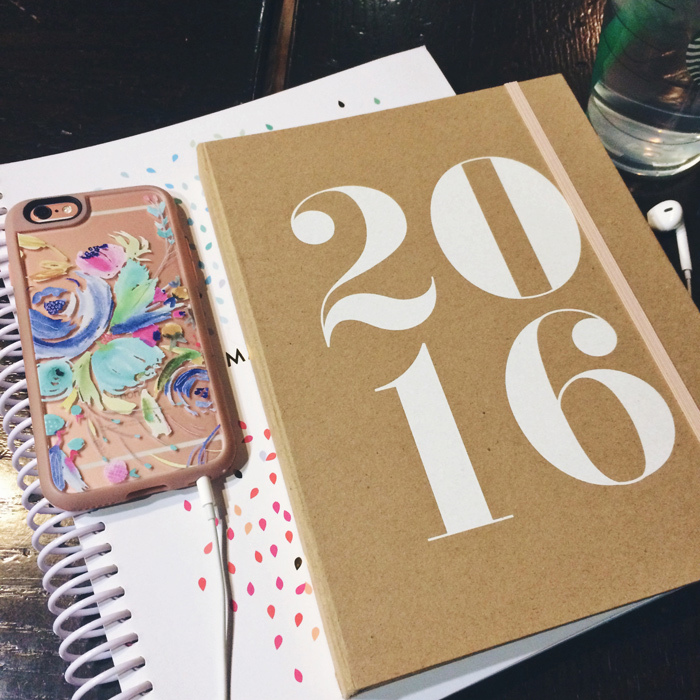 Prep for 2016. Powersheets, blog posts, class assignments, and the show I'm directing (again) all have plenty to be taken care of before January 1st rolls around. I want to plan well now so I can profit from it in the future. 6. Celebrate Christmas with my family. This may seem like a no-brainer, but I want to make family time a priority this month. I'll be living at home for two weeks (working some of it) but I want to intentionally disconnect from the social media world and connect with the people around me this holiday season. 7. 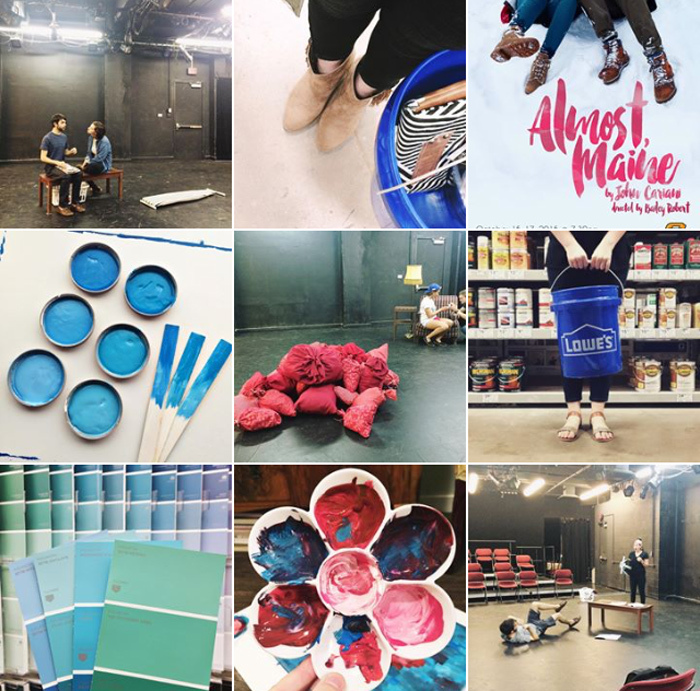 Finish my writing for Almost, Maine + show prep for spring. My thesis show closed in October, but I still have lots of writing to do and to formally present/defend it in the spring. I want to get the writing finished before the start of the new year so that I can focus on re-directing the show for the main stage in February. Changing it from an 80 seat blackbox theatre to one that seats 400+ calls for some major re-working! 8. Budget, budget, budget. So last month I planned a shopping freeze... [insert ridiculous canned laughter here]. This month I'm keeping a log of my spending and trying to curb the excess in a way that's more practical. Plus I'm hoping to make some money working at Anthro to have more in the bank for my second semester AND to pay Mom back for a few things. 9. Girls' day in Kansas with Rachel. Eeek! This has been on the calendar (well, all over the calendar) for a while, and I cannot think of a better way to end finals week than with a day-trip to see Rach! 10. Deep clean my apartment before I leave. I don't want to leave this place a hot mess before I go, so it needs an overhaul next week. I am planning to work/blog my way through The Life Changing Magic of Tidying Up in the new year, but before then I want to spiffy this place up a bit so I don't come back to a disaster zone. What are YOU making happen in December? 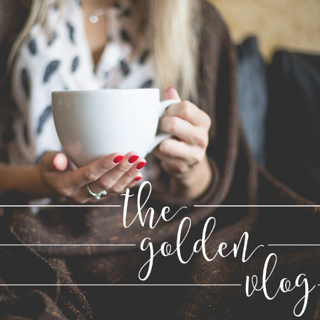 Join us again in December for the last Golden Vlog of 2015! -what did you do for thanksgiving this year? -what are your plans for Christmas? -what is your favorite holiday treat or meal? -what is on your wish list this year? -what's the best gift you have ever received? - do you put up a Christmas tree or decorate? Do you wait till after thanksgiving or do it before? - what's your favorite Christmas song? - must see Christmas movies? -what are some favorite traditions that you and your family have? Stolen moments at home during the day are one of my favorite things. I'm on a brief lunch break before a couple of meetings, and a nap is in my future as well. I may or may not have accidentally stayed up until 3am reading a book... which I'll tell you more about soon ;) I hope everyone's weeks are off to a great start! Playing... Christmas music already. I know, I can't help myself! I may have been listening since September... shh! Watching... Inside Out! Again! I showed it to my family for the first time over the weekend. So cute. Also, there's a short called Riley's First Date that is just adorable and continues the story! Trying... to get to bed early this week. We'll see how that goes. Cooking... my meals at home. Another goal of my 6x6 is to eat healthy and from my own fridge more often than not. Chicken and veggies are the go-to. Eating... the above. With the icing on the cake... BLUEBELL ICE CREAM! It made its way to Oklahoma finally! Drinking... Diet Snapple Peach Tea. You might say I'm addicted. I would simply say dedicated. Calling... Anthro over and over again. I'm working over the holidays but still have paperwork to do. Texting... to catch up on what I missed this weekend! My phone bit the dust on Saturday, womp womp, so I'm trying to get ahold of everyone again. Pinning... inspiration for my December Daily album. I can't wait to share these pages with you! Tweeting... wise words of Bob Goff" "It's easy to confuse a lot of activity with a purposeful life. Get some rest." Going... to work on my homework shortly. Oh the joys of grad school life. 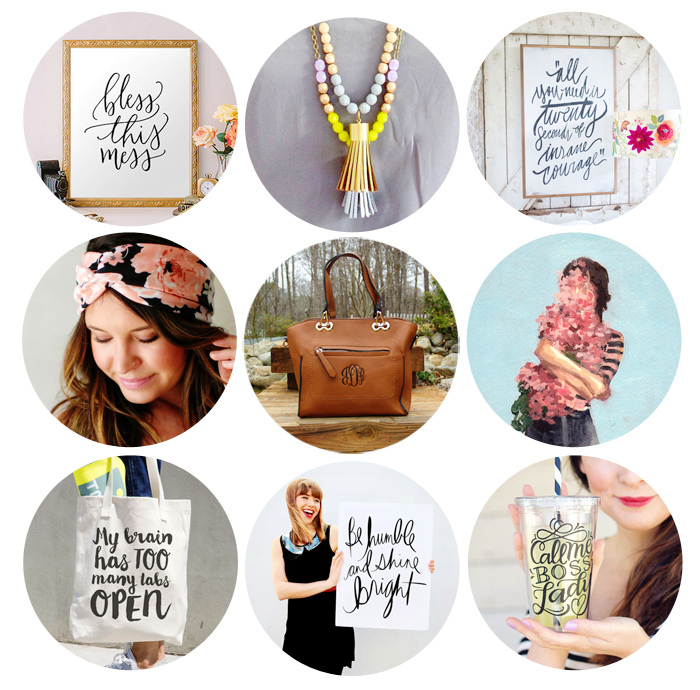 Loving... being on the Illustrated Faith creative team! What a joy it is to work with and learn from these ladies! Hating... the ridiculous uproar about the Starbucks red cups. Y'all. Chillax. Spread love. Discovering... a freeing feeling during "No Netflix November." It's doing wonders. Thinking... about some exciting opportunities in the weeks to come. Stay tuned. Feeling... in awe of how fast 2015 is flying by. When did it become November?! Hoping (for)... an easy day of classes today. My first one is meeting for coffee and then my day is mostly open! Listening (to)... the Hamilton soundtrack. Oh, what I wouldn't give to be in NYC to see it live! Celebrating... the fall weather! We get the 60's all week long! Smelling... my favorite Christmas candle: Sweet Vanilla Cinnamon. Mmmm! Ordering... NOTHING. This shopping freeze is harder than I thought. Etsy is full of delightful things! Thanking... the Lord each day in my Gratitude Documented journal. Get a glimpse HERE. Considering... adding some new items to my ETSY SHOP! Have you seen the Bible tabs yet?? Starting... to prep posts for next week. Hopefully a regular blogging schedule is coming soon. Finishing... my Christmas tree! I was missing one more role of burlap and it's almost done! We made it, friends! 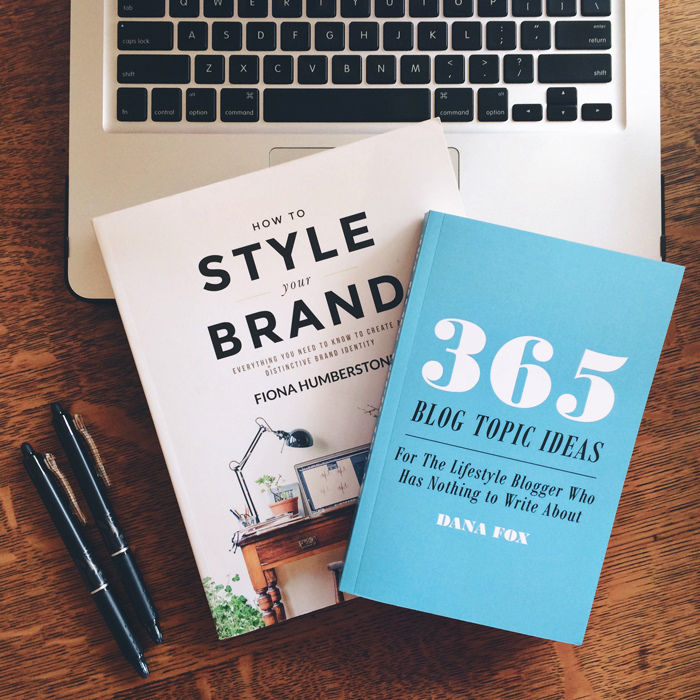 Thirty days of blogging, thirty days of connecting, and hopefully thirty days of making new friends. The 2nd Annual Blog-tember Challenge was such a delight (even though I know I've been abysmal at replying to comments...) and I'm already thinking of ideas for next year. Now for one final hoorah as we wrap this thing up. Wednesday, Sept. 30: A farewell coffee date. 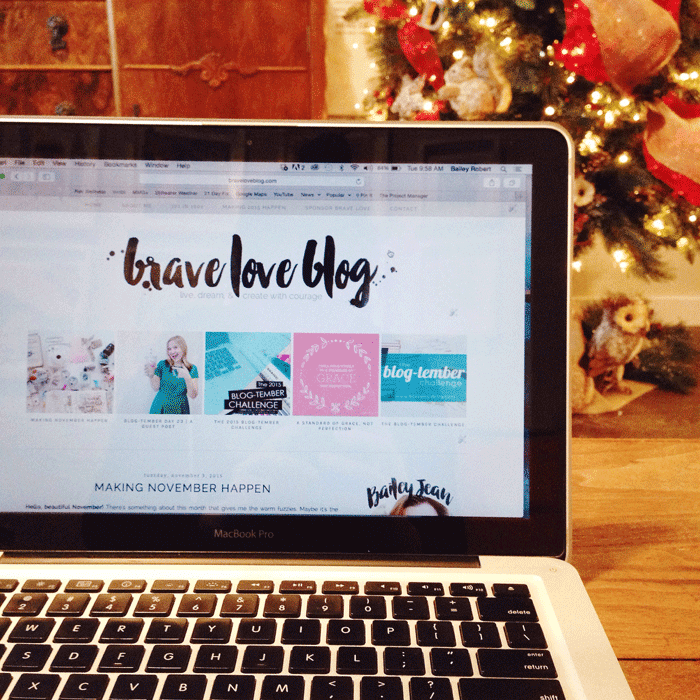 Take some time to breathe, sip a warm drink, and share with your new blogging buddies. If you'd like a prompt: how did the Blog-tember Challenge go for you? Any surprises? What was your favorite prompt, or what would you like to see included next time? I wish I could take each of you out for coffee. We'd camp out at the one Starbucks in this town, I'd order my first pumpkin spiced anything (I know, I know, I'm behind the times but I DO want to try one! ), and the fun would begin. I have loved getting a glimpse into your days, reading your stories, hearing your voices on the vlogs, and growing alongside you during this challenge. The beautiful thing about the blogging community is that you get to take it with you wherever you go. I carry you all in my pocket on the way to class, and I can check in with you in the middle of a crazy day at the office. When life picked up from Texas and moved me to Seattle, you followed suit, and you made the trek back across the country to Oklahoma just a year later. My community here is not what I am accustomed to, and my schedule makes for few opportunities to plug in elsewhere, but you have been consistent. You all have been my cncouragers, my sounding boards, and my delight. I am so so thankful for each one of you. So the fun doesn't stop with the end of The Blog-tember Challenge. We get to keep going. We get to go with one another into whatever comes next. For me it's show month. My creative component launches in the middle of this month, eight weeks of hard work finally coming to fruition. Then the end of the semester looms and Christmas sparkles in the distance, with another move coming after graduation. Though all of those things hang in the distance, I am content where I am partially because I know you are hanging out at my side. bless this mess. tassel necklace. twenty seconds. rose wrap. monogrammed bag. flower print. tabs tote. humble poster. boss lady tumbler.